I Have Never Been Hopeless Interview with OMS CEO Vladimír Levársky in the Slovak political and social weekly .týždeň. And a designer said Let there be light TREND / No.27 / 2012. “Light is the topic of a lifetime,” states Ján Štofko, one of the first designers at OMS. Lighting is the main topic of the November issue of Atrium, magazine for the culture of living, design and architecture. The extra section “Lighting trajectories” presented profiles of young designers. One of the designers displayed in the lighting section is OMS product designer Anton Zetocha, who talked about his favourite lighting and Wings, luminaire, awarded the Design Week Award 2013 for the best product. 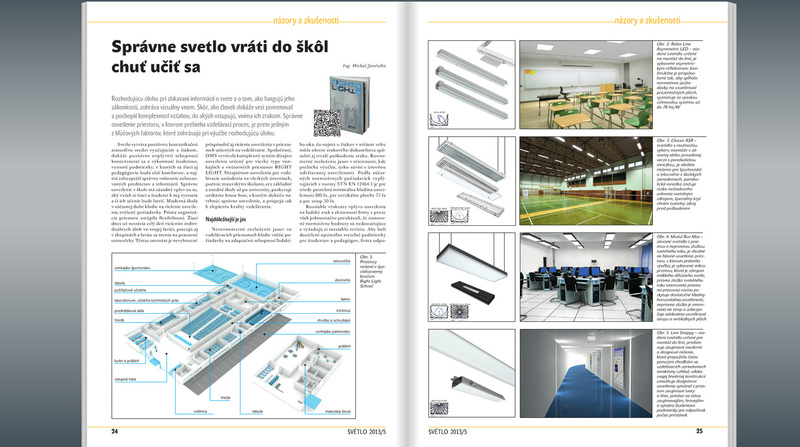 Professional lighting magazine Světlo published an article by OMS, focusing on the right lighting of schools and educational spaces and presenting the new Right Light Education publication. The light creates a positive communication atmosphere between the teacher and pupil; it is able to positively affect the concentration ability and performance efficiency of the students, to create such conditions in which both the students and the teachers will feel comfortably and especially is able to ensure the correct perception of the displayed objects and information… The Right Light Education publication provides comprehensive information about correct space lighting in the educational premises as well as the tools for assessing the quality of the individual lighting systems. 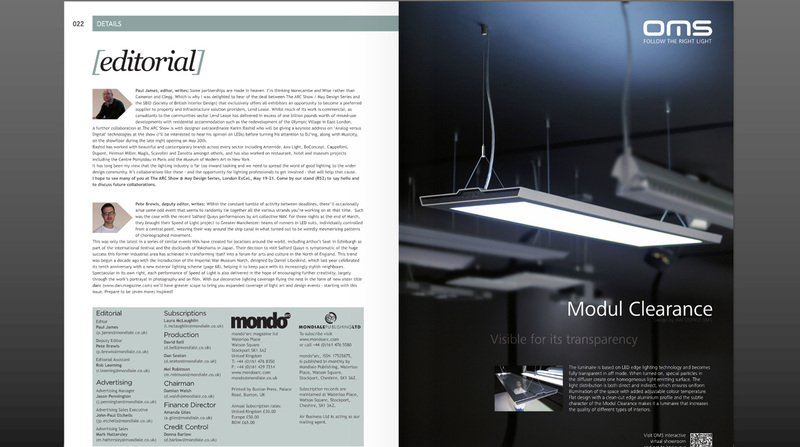 The page in the spring issue of mondo * arc magazine presents Modul Clearance luminaire and invites to the new virtual showroom of the OMS designs. SVĚTLO / Issue 3 / Volume 16 / 2013. 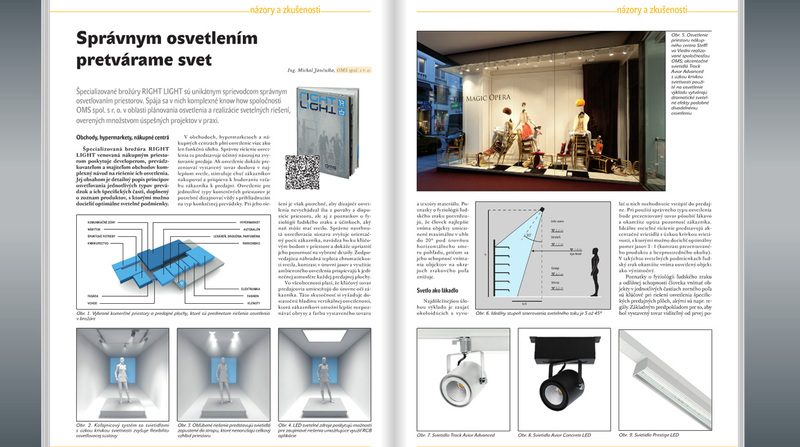 The current issue of the professional magazine SVĚTLO has brought a report from the trade fair Amper 2013, the product pages introducing the luminaire Grafias, advertisements and an article about the Right Light for the shopping spaces. The specialised information booklet Right Light dedicated to the shopping spaces provides the developers, operators and owners of the shops with a comprehensive instruction for lighting solutions. It comprises a thorough description of the lighting principles for individual types of operations and their specific parts completed by a list of products through which we can achieve the optimal lighting conditions. The current issue of the specialized Polish LED lighting magazine has published an extensive article from OMS dedicated to the topic of LED lighting technology and the benefits of its use in retail spaces. 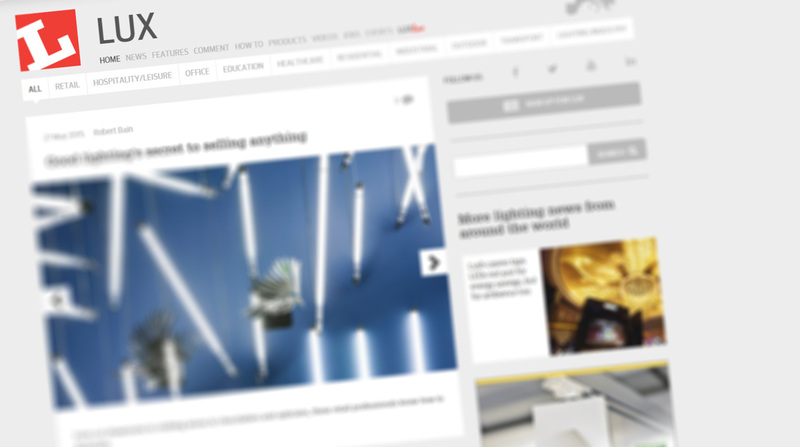 LED Lighting Magazine focuses on modern lighting technology and provides the designers and contractors with a specialized information, as well as examples of technical solutions and news from the field of lighting. OMS contributed to the Technology section with the article dedicated to colour temperature, white light, dynamic lighting and explaining examples of the use of LED lighting in commercial areas. More about the article here. mondo*arc / Issue 3 / 2013. OMS has once again been listed as one of the largest manufacturers in Central and Eastern Europe in the 2013 edition of the ILDS – International Lighting Design Survey, published by mondo*arc magazine. The ILDS is the comprehensive annual worldwide directory for the architectural lighting design industry featuring a comprehensive listing of independent lighting designers, lighting manufacturers and distributors around the globe. Interview with OMS CEO Vladimír Levársky in the Slovak political and social weekly .týždeň. .týždeň / No.13 / 2013. He had known nothing about luminaires before but in the course of time he has built an internationally successful company which produces them. He became the 2012 National Award Winner of Ernst & Young Entrepreneur of the Year. In the framework of the public debate in Slovakia he is missing a clear vision of the future of our country. The leader of the company OMS Vladimír Levársky. You have won the Slovak round of Ernst & Young Entrepreneur of the Year 2012. Are you already thinking about the World Entrepreneur of the Year which will take place in Monaco in June? I am a competitive type of person, so I am looking forward to Monaco. I have seen the schedule and it is also interesting from that point of view what personalities you can meet there in the framework of mutual meetings. It is a serious action but I will be fully aware of it when I am there. Did you assume you would win the Slovak round? I did not expect it. I took part in the competition and only there I “woke up” because I fully became aware there had already been forty strong stories in play. This competition has its seriousness and also the international dimension of Monaco has entered this action. I did not know what would happen. I am interested in “football” and sports teach you to win. However, it was a very emotional moment. You have built a successful company. Where were the foundations of your entrepreneurship built? Your family? Your youth? I had very clever parents, both of them opinionated leaders, but we lived in a different environment, during a different regime. And this fact, of course, abridged them. I received some basis for example, in the form of ceaseless discussions that not only sports but also education is important. I was well prepared. Then something totally by chance happened, for example, after the revolution, as a relatively young guy, I was very close to being elected to the Federal Parliament. Only a few people know about this. And who did you stand for? It is enough to say that from the point of my conviction I am a Christian right-winger. I am a strong believer and conservative person and respect the rules of the environment I live in – and this applies to the Church and for example Angela Merkel is very close to me. What do you think about the scandals in the Church? In a certain sense it seems natural to me, after all the Church dignitaries are also people. I read the Bible and often say that all of this has to happen – after all, all of this is written there. Are you pleased with the new pope? I think that a good pope has been elected. He represents exactly what the Church in the current state needs. This man will change the Church towards the topics like humility, poverty and return to the prayer. According to me this is the model the Church has to take. Also in the Church some people are prejudiced against entrepreneurs. Can humble faith and success in business go together? Firstly, the Bible does not write that what you are doing you should not do well. Moreover, if success which is multiplied by financial appreciation accompanies you, are you to reject it? Another thing is that I am trying to help other people. And the third one, I am not doing it primarily for money. Not for a long time. What are you doing it for? The thing used to be like thisfor me: Do you want to be wealthy or do you want to achieve something? The first era was the desire to be rich because in front of you there was a vision of something you had never had before. But today there is an era that I want to do something. I want to build a company – a multinational subject, a global player, a market leader…these are completely different challenges. However, it has taken some time to reach this opinion. Before you started your business you had taught mathematics and geography at the secondary grammar school. What was the immediate impulse for a change? Frankly, the first impulse why I started my business was that I could not remain at school any more. When new opportunities were opening, I was travelling and reading a lot. I began to perceive them and step by step also to understand them. That converted me. I decided I needed a change. But first you only imported the luminaires from abroad. At first there was a company which imported the luminaires from Italy and gradually it developed. There are lots of stories like this. You will learn how to function in an environment and suddenly you find out you are surrounded by elements which disturb you and you are going to change them. As a teacher I did not know anything about luminaires. If I had known then, what I know now, I would be a billionaire today. On the other hand, I would not change. Even if somebody could take me back in time, I would like to experience everything in the same way. What was so exciting about it? People who are not doing business are not able to imagine it. They do not know what it is not to sleep because of the company, to make a step in the dark or to undergo a risk. They do not know such a situation that you borrow and do not know if you will return or that you have a dream and do not know if you will reach the final. Or you take charge of a task and do not know if you will fulfil it. The life of people who do not have this responsibility is substantially simpler. On the other hand, this environment is also “infectious”. In a way I am all the time in play, I permanently play a game with competitive subjects. You compete with someone all the time, you observe how the others are doing it and you are preparing your own way. The evidence of your managerial resistance is the most interesting element. It means the ability of the manager to transform the firm in complicated situations, to build it, to push it forward somewhere, to create something new and non-standard – as a matter of fact these are the things that excite you. When did the breakthrough from an importer to a producer come into being? It was quite natural. We wanted to be independent of the suppliers, to implement new elements. All of this somehow forced us to start production. I acknowledge both complexity and independence. When your sales or marketing are built, you can start production. And then you achieve a point that you start mapping the trends, ideas and have to arrive with new solutions. You make a prototype, launch it to the market and continue with service. Simply, you asses where in this complexity you want to perform and have to find your place. Because I am a mathematician I have a system in everything. You can draw the complexity and say which area you are able to occupy for you to achieve independence at last. For you to be able not only to sell but also to manufacture, you need machines, technologies and people who understand the technical area. Was it difficult to build this background? People are the most important and complicated factor in the whole business, not the finance because there is enough of it if the plan is good and not even the technologies you are able to buy. The human resources are the Alpha and Omega of business. Especially when you are on the increase to a higher category and you need to grow in the area of quality. Logically you are looking for better and better people who accompany you. The high quality people are of key importance for your growth, certainty as well as defence of the firm against problems. How many people are working for you at the present? What did the crisis do with your business? Everybody was hit in a certain way and it is a question what the firms were doing during this period. The costs as well as the inventories in warehouses were reduced in great extent. People were fired. But all of this seemed to me as desperate steps. It is easy to fire people but it is much more difficult to get them back again. We did not dismiss extensively; we concentrated on building the brand and started to speak positively about our plans. In this environment full of negativism our positive mood played a great role in the process of building the brand. People began to believe us, follow us and our promises began to be confirmed. Moreover, at the same time that the economics fell into recession, the technological revolution LED broke out. To how many countries do you export? About 130 countries. And under export we understand the regular export. Today we also shine in such countries as Philippines, Canada, Panama, Argentina, China or India. Do you encounter any distrust somewhere in the world because you are a firm from Eastern Europe as sometimes happened to the Slovak companies? I think this all over today. When you become an important and influential player, the market accepts you automatically. Moreover, we are not the only example of a Slovak company that broke through abroad. According to me it is a combination of philosophy, vision, courage and preparedness to head to the external environment. When you enter the foreign markets, you will understand what has a chance to survive and what does not. In which aspects is Slovakia worse than other countries? I have a feeling we are a sufficiently civilised, motivated and creative nation. Even in my opinion we are a sufficiently educated nation, though there are some reserves in the educational system. But it must not serve as an alibi if we fail in the market environment. Moreover, this firm is international enough. People from India, China, Hongkong, Spain, Rumania, etc. are working here. Approximately 80 people are working in the development department. Where did you take them from? Are they domestic Slovak experts? These are just the nationalities I have just mentioned. In Slovakia there were not the specialisations we were looking for. So we were alsosearching abroad. E.g. the head of the development is an Austrian and the chief of design a German. We have a very multicultural environment. It has also a synergic effect. As a matter of fact it is a mixture of designs, trends, opinions and cultures. When we combine it, interesting outputs arise. You used to be a teacher, today you are an entrepreneur. Having these two types of experience what do you think about the public debate concerning the future of the Slovak educational system? First of all I have a feeling that this state has to decide how it will arrange its environment. Do we want to prefer science and research? So, let us describe the trends and let us choose which we want to invest in and to attract the top-level people. Do we want to build it on tourism? So, let us invest in the education in the area of tourism. We are missing a coherent concept of the country – a concept how we want to appear as a country with our pre-dispositions. Then we can say how we will profile the educational system. The high unemployment, concentrated especially in the eastern regions is the most acute long-term problem of Slovakia. Would it help if Slovaks tried to do business more massively and not to look for the security of an employment? We are not a business-oriented nation. For example, when we compare ourselves with the Czechs. They are much more entrepreneurial, you can see a lot of small firms in the villages. According to me this the reason why the Czech economics is much more resistant than ours from the long-term point of view. In Slovakia the entrepreneurship is a matter of a relatively small group of courageous individuals but it does not seem to be the philosophy of the nation. But the cultural attitudes and habits can be changed. Also the Ernst & Young Entrepreneur of the Year wants to inspire other people through stimulating business stories. E.g. would you recommend young people to think about themselves as potential entrepreneurs, not only employees? Certainly, yes. I would advise it to everybody. Then you start to decide about yourself, you will recognise your ambitions and compare your strengths with the world. We have to create good-quality schools for entrepreneurs, summer courses or some communities where successful people, who have already gained something in business, would share their experience with young people. I have a feeling we are able to transfer this entrepreneurial spirit to our people. There are lots of bright minds and a lot of good ideas around us. How many hours a day do you spend working? Effectively about ten hours. I enjoy sports, half an hour to one hour a day. The business is not always only about success, the entrepreneurs also experience failures. Have you ever faced any hopelessness? I have never been hopeless. Because when something is wrong I read Saint Ignatius or a part of the Bible and it encourages me. You will then see your position in interdependences and you begin searching which superior will is behind it. The founder and only owner of the company OMS which specialises in manufacturing and designing luminaires as well as realising projects in the area of lighting worldwide. He graduated from the Faculty of Natural Sciences of the Comenius University in Bratislava and since 1991 he worked as a teacher of mathematics and geography at the secondary grammar school. He is the winner of the regional Ernst & Young Entrepreneur of the Year 2012. Besides business he also supports sports. He is active as the chairman of the football club FK Senica. mondo*arc / Issue 71 / February - March 2013. Technology section of the latest issue of mondo * arc magazine, dedicated to public lighting, brings an overview of lighting fixtures that bring a bit of beauty to the great outdoors. Out & About article presents among others the Segin LED street luminaire by OMS, characterized by a combination of modern flat design and visual comfort it offers. Read more about Segin LED in Mondo arc website here. SVĚTLO / Issue 2 / Volume 16 / 2013. A scientific research article authored by OMS Lighting Designer Michal Jančuška was published in the Measurements and Calculations section of Světlo, the magazine for lighting technology. "Since its introduction at the Light + Building 2012 trade fair, the LQS system has established itself among both professionals and customers and has significantly influenced the perception of lighting quality assessment." The article summarizes the development of the lighting quality standard, its basic elements and parameters for evaluation, and also identifies the technical standards, upon which LQS is based. The system adheres to these standards and also identifies their imperfections. As LQS is based on the latest scientific knowledge and practical experience from experts, it stands above the current standards. The article also describes the main features and benefits of the LQS Composer and LQS Composer PRO software. 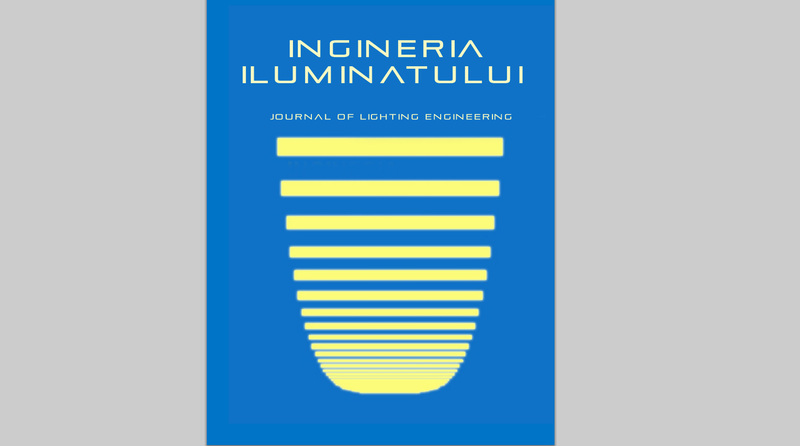 Ingineria Iluminatului, Romanian journal of lighting engineering published by Technical University of Cluj – Napoca published an article about the project realised by OMS. University students who have recently attended professional internship in OMS, Adrian Mihai Pop, Roland Sandor, Augustin Mihai Pop and Alexandru Vlas introduced a project of cooperation with OMS company on the refurbishment of the lighting system in one of the university lecture halls. profiled OMS and its Lighting Quality Standard (LQS) in its latest issue. LUX REVIEW / Volume 1 / Issue 03 / December 2012. 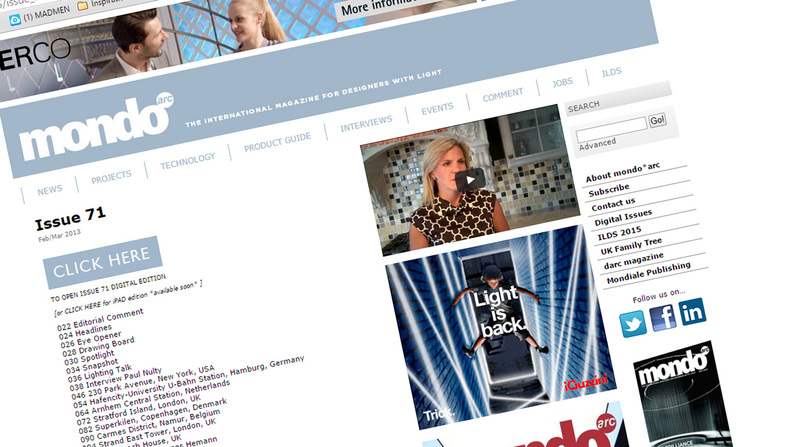 Launched at Light + Building 2012 in Frankfurt, Lux Review magazine is an exciting print and online offering that reaches a highly targeted audience of lighting buyers globally. 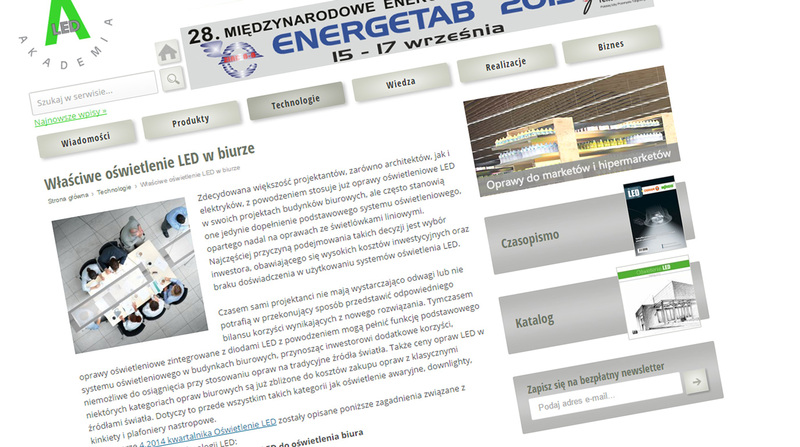 Its emphasis is on low-energy lighting products, projects and techniques. It's designed to share knowledge globally and bring the benefits of the latest lamps, luminaires and controls to project managers and large-scale clients. Lux Review shares best practice, sample projects and the latest equipment. Electronic version available here: click here. an article dedicated to the product portfolio of OMS. the European Lighting Tour 2012. TREND / No.27 / 2012. “Light is the topic of a lifetime,” states Ján Štofko, one of the first designers at OMS. the Faculty of Architecture of Slovak University of Technology in Bratislava. Ray light concept corresponds directly with the functioning of the human body. relationships with the best manufacturers from a technological point of view. LightSpec / Issue 5 / Juny 2012. Interview with Miroslav Masár, LED Department Director OMS. "The future is wide open and we’re glad that our company is part of this story." The Technology / Product section of this issue of mondo*arc magazine is dedicated to products presented at Light & Building 2012, International Trade Fair. Among highlighted products, you will find also the luminaire Grafias, by OMS, specially designed for environments with high requirements on intensity of light, like gas stations, warehouses and airports. mondo*arc / Issue 2 / 2012. OMS has been listed in the 2012 edition of mondo*arc's ILDS as one of the largest lighting manufacturers in Central and Eastern Europe. LEAF Review / Číslo 14 / 2012. LEAF Review specifically targets the unique community of architects. It captures the opinions, ideas and philosophies of Europe’s foremost architects in a diverse mix of articles, case studies, interviews and profiles. The recent issue of the LEAF Review is dedicated to the topic of a synthesis of architecture and biology. The magazine comes both in print and digital versions. Held October 4-9, the international trade fair Designblok'11 showcased the latest in the design of furniture, home accessories, fashion and lifestyle. The programme featured a showcase of designers, design studios and schools, located in Superstudio Futurama and Superstudio Šporkovský palace. In addition to introducing its new brand, Elite, and the winning collection of products from the National Prize for Design 2011, OMS also presented six new products realised during the year. Four products are the works of talented young Slovak designers Anton Zetocha and Ján Štofko of OMS and Matej Bilík of Osem design. The other two products were designed by renowned international studios Giugiaro Architettura, Italy and Bartenbach LichtLabor, Austria. Designed by OMS’ Anton Zetocha, the luminaire Modul WINGS is planned to enter mass production at the end of 2011. The Indirect Vega luminaire with LED light source from Osem design’s Matej Bilík is already being mass produced. Prototypes with LED light sources include Terzo, designed by Giugiaro Architettura; Becrux, designed by Bartenbach LichtLabor; Acrux, designed by OMS’ Anton Zetocha and Modul Box Max, designed by OMS’ Ján Štofko. HN online / internet version / 29.10.2009. OMS will invest 7 million euros by the end of 2010. Slovak producer of light fixtures builds an R&D centre and expands production. OMS, owned by Slovak entrepreneur Vladimír Levársky, plans to invest 7 million euros by the end of next year. Approximately half of the money will be spent on the construction of a new R&D center within the production area of the company in Dojč near Senica. Construction has already begun. OMS, producer of light fixtures for offices and industry, to build R&D center. The investment has been delayed due to the purchase of Inter football club. OMS, situated in Dojč near Senica, producer of industrial and office lighting, plans to make investments amounting to 7 million euros in R&D. Approximately half of the funds will be allocated to the construction of a new R&D center within the production area of the company. Construction has already begun. Světlo / No.05 / 2009. Intelligent systems for lighting bring cost savings, efficiency and efficacy. Not surprisingly, these terms apply to the industries of lighting design and lighting technology. New, more efficient light sources are used in light fixtures together with intelligent stabilizers, more efficient optical systems of light fixtures, or daylight sensors. Luminaires for interior lighting based on LED still have higher market share. The most frequently used light fixtures are the lamps designed for indoor lighting. An increasing number of our offices, schools, hospitals, corridors, lecture halls and even our houses are illuminated using indoor LED lighting. Nowadays, linear fluorescent lamps are used particularly for indoor lighting. Why are the linear fluorescent lamps so successful? It is evident from their numerous advantages. They have a higher specific power (reaching up to 110 lm/W for some versions), easy installation, long life, high-frequency operation, good colour rendition, and most importantly, they are fully dimmable. Dimming enables dynamic response to the needs of the illumination area.